Hapy #FridayReads Everyone! (Yes I know hashtags don't work like that. Humor me.) Here's a blog post I've been kicking around for a while about what books I've read (and not read) as a brand new parent. My baby is almost 8 months old now, so clearly I'm an expert. (Again, sarcasm.) But I am a librarian and a mom, so here it goes. The TL;DR version of this: read Bedtiming and Headed Home with your Newborn if you only have time for two books and you are not a crazy crazy research obsessed librarian. What to Expect When You're Expecting - I actually BOUGHT this book. I don't buy that many books; I check them out from the library. I bought it and barely looked at it. But it seemed like the thing to do, this was the classic one, so I got it. I also got it as an app on my phone. That I read every week. And shared with my husband. The app has kept going with updates about development. I still like it. Mostly used the book as a photo prop for announcement photo. Pregnancy and Birth: Your Questions Answered - I skimmed and read bits and pieces of this one. It was okay. Mostly I did most of my pregnancy reading online as symptoms came up. I understood pregnancy more or less. Plus I kept it a secret at work for the first trimester so I didn't want to check out too many books. of helpful advice and funny stories. Best pieces of advice I picked up: make other parent friends. (Might I suggest your local library's baby time as a great place for that?) Also each partner should get to keep one activity that is just for them (that isn't work) outside the house. And they should work together to make those happen for them both. My husband gets soccer and his MBA classes. I get to be on the board of a non-profit and have a knitting group. The Baby Owner's Manual: Operating Instructions, Trouble-Shooting Tips & Advice on First Year Maintenance - Again I purchased this for my husband for Christmas. Surprisingly helpful. Fairly humorous. Really is owner's manual style. well done. One of the few books I read cover to cover instead of just skimming. 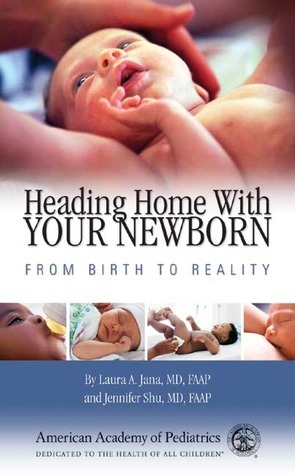 Written by moms who are also pediatricians, it is good advice (research backed) with some humor and real life stories tossed in. HappyBaby: The Organic Guide to Baby's First Months - I skimmed this one. And I didn't realize it until I just looked it up for this post that it was co-written by a "team" at a baby food company. Oh well. I really like that baby food company. There have been a couple brands of foods we have purchased for Annabelle, mostly I make her food, but HappyBaby is one. Also this is by Dr. Sears and I'm not totally on board as an attachment parent, but I'm pretty crunchy (though I vaccinate). So I read his stuff with a grain of salt. Baby Led Weaning - I'll probably do a feeding baby post on my personal blog. This book was great. We are mostly doing baby led weaning and it is awesome. I also did a lot of research online for this. Again I rather skimmed this book, but I got the general idea. Start Fresh: Your Child's Jump Start to Lifelong Healthy Eating - This book was a gift from a friend. It's a cookbook for babies, starting with purees. Since we started with purees because she was hungry for food before she was ready to eat solids, this was really helpful. However I would like to contend that "steam sweet potatoes, puree" does not really constitute a recipe and shouldn't take half a page in the middle of a bunch of identical other one-ingredient purees. That said, the multiple ingredient purees and the recipes for solids are great. And I liked the intro, narrative, and general approach of this cookbook. friend. Really pretty pictures of swaddled babies and step by step instructions for swaddling babies. I was hugely pregnant so I mostly skimmed it and admired the pretty happy babies. I recommend borrowing a friends baby to practice swaddling. 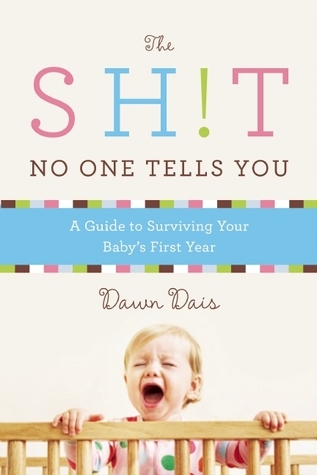 Please note that when you begin, your baby will probably not be as happy as the ones in the book. Husband and I practiced on a teddy bear (also how we practiced using the baby carrier) but it wasn't the same. We needed 2am refresher courses from the hospital nurses. He was much better at it than I was. I pretty much relied on the velcro swaddling blankets. Our daughter escaping from one of my swaddles is pictured on the book. Our Babies, Ourselves - Another recommendation from a friend (who also recommended Bedtiming). This is really good look at different philosophies across different cultures about how we raise babies. It doesn't have as much practical advice, but if you're a nerd and you like big picture/psychological/anthropological/sociology stuff, you will like it. I also did a lot of reading online. So much online reading and I took everything with a grain of salt. It is either the best or worst thing to be able to google stuff at 2am. book that I recommend time and time again. I've recommended it to a couple of friends expecting a baby, I've lent out my copy (because I purchased my own). My copy was covered in notes and stickies. 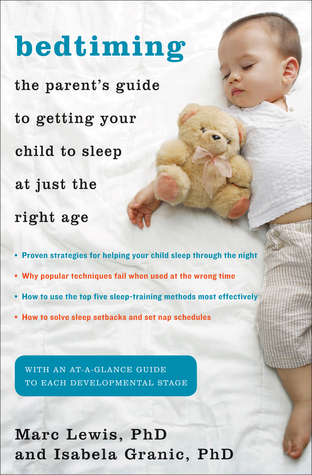 And when parents ask at the library for books on sleep training, I give them this one. It focuses mostly on WHEN not how to sleep train your baby. Some ages work better than others based on developmental things happening with your baby. And at the end it also overviews the different sleep training techniques. This book is solid gold. Read it.